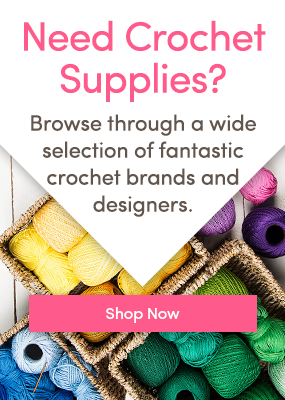 We all love a bargain which is why we’ve rounded up five incredible crochet projects that you can craft using under £50/$50’s worth of yarn! From baby blankets to luxurious shawls, we’ve got some fabulous projects for you to try. Using Caron One Pound 100% Acrylic yarn is perfect for baby’s crib! Not only is this gorgeous pattern by Caron totally FREE, this darling blanket is machine-washable, super soft, and affordable to create! What’s not to love!? Okay, this might be an unusual one, but we couldn’t resist the beautiful swirly colorwork of this fabulous Ammonit by Tanja Osswald! It’s time for these ancient sea creatures to make a comeback, this time in Natura Just Cotton. Play with your favorite colorways and enjoy watching your creation come to life. Who wouldn’t want this as a fantastic addition to your crochet projects!? Affordable and luxurious. Using only 5 balls of her divine Debbie Bliss Rialto yarn you can crochet this dreamy lace Cleo Wrap. This heavenly garment hits the perfect notes of sophistication and comfort. Why not treat yourself? Designed in bright and affordable Paintbox Yarns Cotton DK, this dazzling crochet pack includes instructions to craft this gorgeous 16” cushion round cushion. Great for intermediate crocheters, this glorious homeware by MobiusGirl Design aka. Sanda Eng, will brighten any living space reminding us of warm weather and summer vibes! Perfect for crisp spring days, this Light Country Blue shade from Caron Simply Soft is the perfect weekend sweater that won’t break the bank! Made in acrylic, this garment is also machine-washable, meaning you can enjoy it time and time again! What’s your favorite under-$50 project? Why not share with us in the comments below!